At New Zealand Ski Packages, we’re all about making your winter holidays an unforgettable adventure. We offer all-inclusive deals that are affordable and take all the organizational hassle from you. Hence, all you need to focus on is having a fabulous time in the snow. Because we are real Wanaka locals, we are eager to share our knowledge with you and show you the highlights and secrets of NZ’s most scenic mountain resorts. Skiing in New Zealand stands for spectacular landscapes and alpine scenery, fresh powder, uncrowded slopes, and an incredible range of world-class ski resorts. 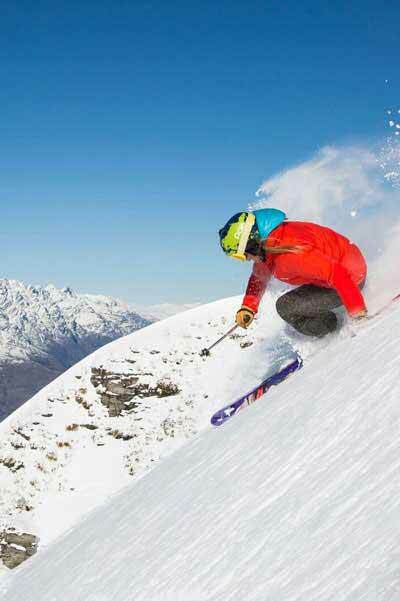 Whether you are looking for Queenstown skiing packages, a or epic epic NZ skiing packages including Mount Hutt, you have found the perfect website. From beginners’ family ski packages to heli-skiing adventures that take your holiday to the next level, let us handle the details and make this your best winter ever. Top-quality accommodation, car rentals, ski passes, ski rentals, ski lessons and must-do adventures–you just have to pick your powder! 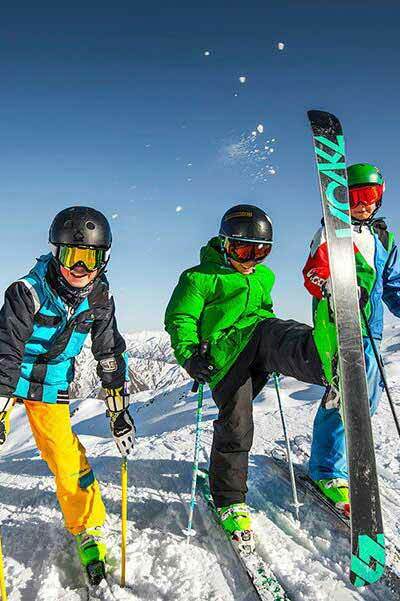 NZ skiing packages offer skiing and snowboarding at all of the above ski fields and will ensure your New Zealand ski holiday is easy to book. Book a Wanaka ski package and enjoy skiing or snowboarding at either Cardrona Alpine Resort – located mid-way between Queenstown and Wanaka – or Treble Cone, located an easy 30 minute drive from Wanaka’s buzzing township. Or see our huge range of Queenstown skiing packages, which include The Remarkables, located 35 minutes from downtown Queenstown, and Coronet Peak, which is only a short 20 minute drive from downtown Queenstown. Lastly we also offer NZ Skiing packages that include Mt Hutt, which is a quick drive from Methven, or 1 hour 45 from Christchurch. Queenstown is known as the adventure capital of the world and the premier skiing destination in New Zealand. And for good reason: Two major ski areas within easy reach, short onward links to Wanaka and an endless backcountry terrain. With the first peaks only 20 minutes from Queenstown’s buzzing town centre, an International Airport just nearby and a varied range of après ski activities, it is the ideal base for a stress-free winter holiday. Coronet Peak proves itself as one of New Zealand’s most exciting ski resorts. With its breathtaking scenery, captivating views, well-groomed slopes, vast array of restaurants, cafés and other après ski activities, plus great runs for both beginners and advanced snow lovers, Coronet Peak is the ultimate ski fun just 20 minutes from Queenstown. Drive 35 minutes out of Queenstown and you reach the world-famous Remarkables Mountain Range. This iconic ski resort has 7 trails and 3 terrains, providing perfect conditions for learners and pro’s. With an average snowfall of an impressive 3.67 metres, The Remarkables give you the true alpine mountain experience. The ski fields around Wanaka are second to none. It is an hour’s drive from Queenstown, but the stunning route and the winter wonderland awaiting you make it more than worthwhile. The combination of unrivaled natural beauty, top conditions for ultimate skiing fun and laid-back snow-loving locals (like us) make Wanaka the winter holiday destination most people dream of. Come and visit the South Island’s largest ski and snowboard resort (550ha): The Treble Cone Ski Area is a paradise for adrenaline seekers, featuring the longest vertical in the Southern Lakes region. Its legendary off-pistes provide even the best skiers in the world with exciting challenges. Yet beginner’s will have a great time, too, due to the FREE lift access to all ‘nice n easy’ slopes. Cardona Alpine Resort radiates with relaxation and fun, with vast beginner-friendly slopes and lots of family-oriented activities. It’s unmatched terrain park and pipe facilities cater to all snow enthusiasts, from first-timers to expert athletes – and the locals will capture you with their genuine Kiwi hospitality. Also, if you want to top the adventure, Wanaka is home to the largest heli-ski terrain in the Southern Hemisphere. Voted best ski resort in New Zealand in 2015, Mt Hutt spoils you with stunning conditions, wide open terrain and the typical laid-back kiwi hospitality. On the Western edge of the Canterbury Plains, Methven is the perfect base for your Mt Hutt ski adventure. 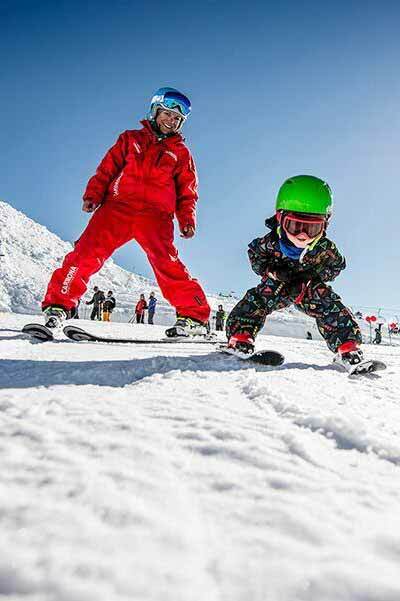 Great family value: The resort offers free lift access for kids aged 10 and under! Select your personal favorite from a range of over 40 NZ skiing packages and craft your individual ski experience. Get ready to ski New Zealand 2019! No matter if you want just a short escape, or stretch your ski holiday to the max – we got you covered with the perfect package, ranging from 5 to 14 days. …all of which makes booking through New Zealand Ski Packages the obvious choice. In addition to this, you can combine your NZ skiing package with any adventure or relaxation activity available throughout New Zealand. 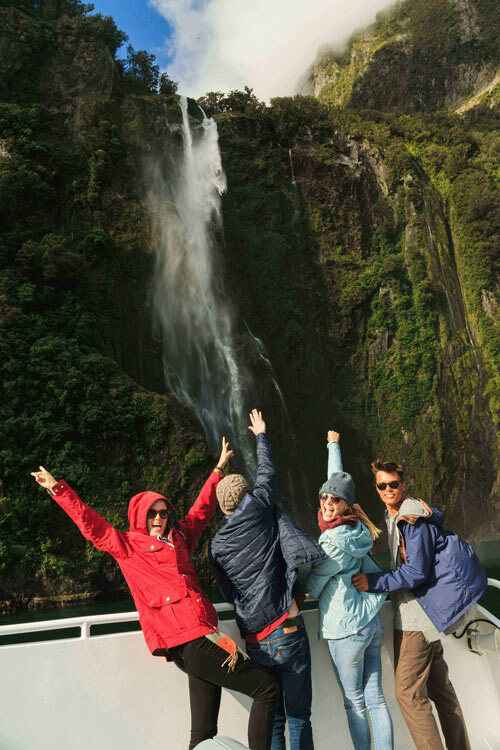 From bungy jumping, skydiving, heli-skiing, wine tours to lake dinner cruises – we are your one stop shop. Why Go With New Zealand Ski Packages? The benefits of booking through New Zealand Ski Packages are simple: we are located in Wanaka, New Zealand’s popular ski resort town, close to Queenstown. We are here on the ground to assist you, if required, during your holiday, or just pop in and say hi, we would love to hear some epic ski stories! We are a proud member of Tourism Industry Aotearoa (formerly Tourism Industry Association New Zealand), so you can be sure that you are choosing a qualified, responsible and efficient organization. Learn more about us, our passion for NZ’s mountains and our service promise to you. Come on over and ski New Zealand 2019 and start planning for 2019! Enjoy the best skiing and snowboarding, high energy ski resorts with top cafes, restaurants, bars and nightlife, and the best family friendly ski holidays on offer – what are you waiting for? Get in touch to start planning your NZ Skiing Package today !